Civility maintained a foothold in the late 1970’s despite a toxic political environment. Jimmy Carter reigned over 12% inflation and interest rates of 21% with banks piling on additional costs almost double the prime rate. There was the hostage crisis and gas prices breaking the dollar barrier for the first time…if you could find it. Gas saving tactics from the government mandated odd and even days at gas stations and a widely ignored 55mph national speed limit. Truckers weren’t about to lose money nor time. Their road culture gave us C.W. 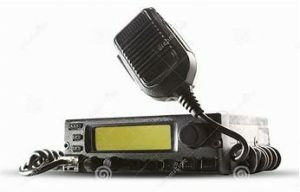 McCall’s song Convoy…and woke the public to the benefits of the CB Radio. The fad quickly caught Hollyweird’s (sic) notice and Burt Reynolds starred in Smokey and The Bandit and Kris Kristofferson’s movie Convoy. The original CB (citizens band) Radio offered 23 channels and expanded to 40 channels as the popularity flourished. The government noticed and, of course, figured they should control it with CB Permits from the FCC if you wanted to install one in your car. When the permit requests hit over one million per month…they finally gave up trying to keep up. The dictionary defines civility as consideration and politeness. 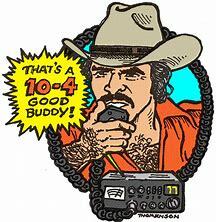 My FCC CB Radio permit was KXD5196. My handle was hilltopper and my closest buddy was crows nest. An hour commute included bear warnings and road reports while exchanging greetings with others in the 7-10 mile radius neighborhood of the early radios. It was a community with codes for “please” and “thank you”. In the example above ”breaker one 9” is asking permission to talk on channel 19. 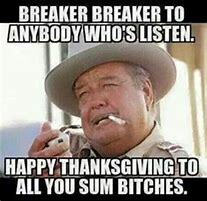 “Thanks good buddy” was always heard at sign off. The Bandit’s sense of humor was always an integral part of the conversations. Instead of a small radius of reach, we can now connect with people at every corner of the earth using a gadget we carry in our pocket. Please and thank you have become pejoratives. Smile at someone on the street and they’ll call 911. Texting replaces talking. Dumb people have smartphones. Celebrities I never heard of give political advice while politicians give religious advice. Reporters offer opinions without facts and facts are ignored in favor of gossip. Next thing you know they’ll be mailing poison and bombs.